Majority Leader Eric Cantor (R-VA) voted for over $120 billion to rebuild Iraq and Afghanistan, funds that were used to construct and repair schools, roads, bridges, and other critical infrastructure. U.S. House Republican Leader Eric Cantor said on Monday he will not support President Barack Obama’s proposal to renovate U.S. schools as part of the administration’s bill to spur job growth. The president’s proposal is a modest effort. The total maintenance and repair backlog at U.S. schools is estimated at $270 billion to $500 billion. 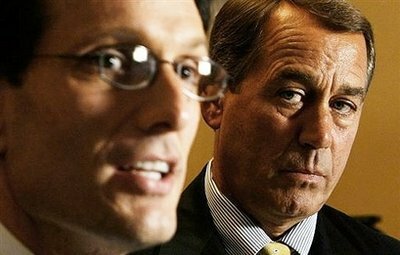 While the funding Obama is proposing is fully offset, Cantor voted to build schools in Iraq and Afghanistan with deficit spending. Contact your member of Congress and tell them that it is time to rebuild america now. You can do so: HERE.